We, at DNS, care about the overall growth and development of thebusiness of our clients in every way possible. For this, we have equipped ourselves we a team of the most qualified accountants in Stoke-on-Trent from prestigious universities. They extend their expert advice in the field of accounting and tax planning. We follow a principle which distinguishes us from the rest and has helped us serves more than 1200 customers over the last ten years. We believe in maximising our clients, and maximising the profit of our clients. Cause this will ultimately lead to more profit for us. We specialise in tax investigation, tax saving, Limited Company accounting, consulting and accounting solutions. DNS helps its clients by providing the right advice at the right time, managing their accounts, help saving money and taxes, while also within the rules and bounds of the law. We have expanded our services to reach across the regions, including accountants in Stoke-On-Trent, Redditch, Inverness, Watford, etc. With our expert and timely services in the field of accounting and consultancy, you don’t have to face any issues. Stoke-on-Trent is a city in Staffordshire in England. It is a federation of six towns and is the home of pottery industry of England. It is now a centre for service industries and distribution centres. Apart from industrial-scale pottery manufacturing, the city is also a centre for coal mining. The iron and steel industries play an important role in the development of the city. The Michelin tyre company also has a presence in Stoke-on-Trent. Stoke-on-Trent is a world centre for fine ceramics and pottery firms. There are more than 9000 firms based in the city. Stoke-on-Trent City Council is one of the city's largest employer.Another major employer is the Royal Stoke University Hospital, with over 7,000 staff. Night-time industry is on a boom in the city, with Hanley becoming increasingly popular for its nightclubs, bars, theatres, and restaurants. 1. Chartered Accountants, Stoke-on-Trent: Chartered Accountants, Stoke-on-Trent provide timely and expert advice to their clients in the field of account improvement, corporate finance and corporate tax. 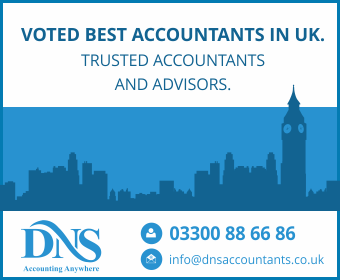 Accountant jobs Stoke-on-Trent at DNS are given only to the most passionate and qualified of the lot, to ensure our services are upto the mark. Our accountants are trusted advisors to the clients, in which they confide to give the right advice for their business as and when needed. Accountants, Stoke-on-Trent provide their clients with reports about their sector and otherwise, which is necessary for them. 2. Tax Accountants, Stroke-on-Trent: There are accountants, Stoke-on-Trent providing custom made expert solutions in the field of tax advisory services and tax planning. These tax accountants, Stoke-on-Trent look into the intricacies of the business of the clients and help minimise the liabilities and taxes of the client, to steady the finances and save money wherever possible. This management of accounts is a necessity in the longer run, for it keeps finances in the balance. These Accountants, Stoke-on-Trent work closely with entrepreneurs, start-ups, and help raisefunds and in acquisitions and disposals. The Registered Office refers to the address at which your company is officially and legally registered and is displayed on the Public Register of Companies at Companies House. It is the address at which the company receives official correspondence and notices from government departments, corporate banks, investors, shareholders, and thegeneral public. Registered Office Address need not be same as the trading address of the organisation. It is the address at which the company and its officials, directors and shareholders can be contacted by the government, banks, shareholders, public, and others, via post. This has several advantages. Your private address remains undisclosed, as your official mails come to the Registered Office. Also, in thecase of change of your residential or business address, the Registered Office Address doesn’t change so formalities for changing it are skipped. Now here is where DNS can help. By acting as your Registered Office, we help you keep your private address undisclosed. We charge a nominal fee for this purpose. All business statements are thus sent to DNS. We then forward them to you. This leads to a proper flow of your official posts, and your trade and residential location remain unrevealed. DNS has solutions for all your accounting needs, from tax management to accounting consultancy. We are like your personal advisors, and we are always there to help with your business accounts. We extend our expert services in the field of Bank Account Opening. With us, you don’t have to worry about Bank Account Opening. We make it a systematical and easy process. We ask for a nominal fee, with no extra charges. Tax planning, corporate financial services, accounting solutions and advice are also provided along with it, at no extra cost. We, at DNS, have been trying to serve as many people as possible. Extending our services across the globe, including places like Keele, Crewe, Stafford, Buxton, Warrington and Wolverhampton, our accountants have helped people with their business accounts for years now. We take care of all you accounting needs efficiently and promptly, so you don’t have any issues related your accounts. Whether it is tax advice or fund management, or accounting consultancy, you can always depend on us to get you through and help you develop and grow your business to new heights.